These are now available priced at £3.50 each. 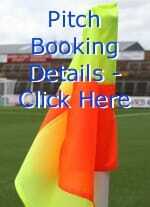 They are available from Station Park at each home game or by contacting any committee member. Calendars are now available prices at £5.00 each. These shall be available from the ground at each home game or by contacting any Committee Member. Saturday 12th November 2011 A coffee morning will be held at St. Margarets Church Hall between 10 am and 12 noon. The usual stalls with entry priced at £1.50 which includes coffee and pancake.